Travel + Leisure readers have spoken and their number-one destination for 2016 is Croatia, which was also named the “most googled” destination this year, as well. “The arguably biggest draw of Croatia in 2016? The success of HBO's 'Game of Thrones' series. Tourism has boomed in recent years as fans of the show have sought out its stunning landscapes and well-preserved historical architecture,” noted Christopher Tkaczyk. Its medieval cities have been a draw for years, but Croatia’s draw extends beyond ancient times. “Zagreb, the capital, is a bustling urban center along the Sava River with a rich history, 19th-century architecture, many preserved landmarks and museums, and a trendy new design district Marticeva,” wrote Tkaczyk. Its outdoor experiences are another big draw. READ MORE: What is The World’s Most-Searched Destination? “Croatia has two national parks that feature stunning lakes, caves, and tiered turquoise waterfalls created by the heavy limestone and chalk deposits in the water. Stroll the wooden boardwalk at Plitvice Lakes National Park, a UNESCO World Heritage Site. The smaller Krka National Park, two hours south by car, is just as magical,” said Tkaczyk. 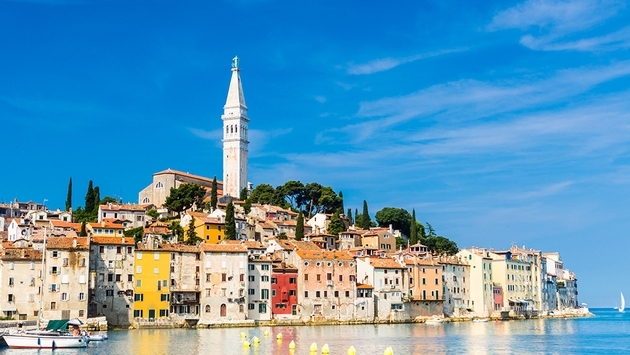 Want to know more about why Croatia is one of the world’s top destinations? Read on here.